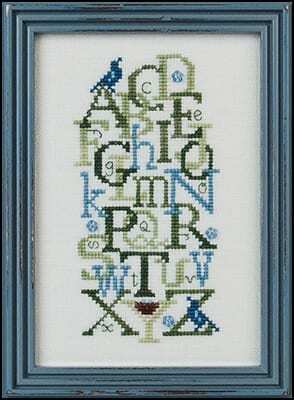 A Just Nan design alphabet with a bluebird at the top sitting in the A. The pattern includes flower beads and seed beads for accents. 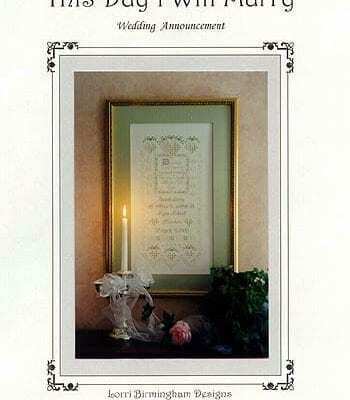 Model is shown stitched on 32 count antique white Belfast linen from Zweigart and uses DMC floss plus Green Apple and Baby Spinach over-dyed Sampler threads form The Gentle Art. On 32 count the design area is 83H x 42W orÂ Â Â 5 1/4″ by 2 1/2″.